Providing effective and on-going feedback is a vital element in promoting quality professional growth in teachers. 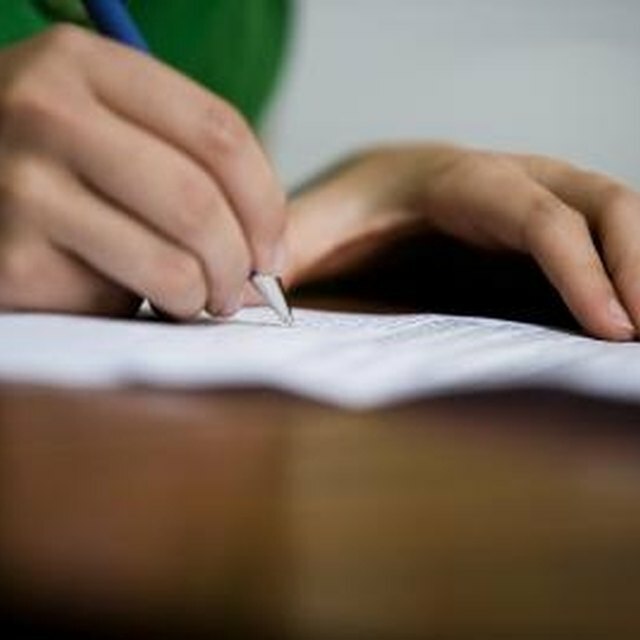 While there are many ways in which you can deliver an evaluation, composing a written evaluation is often among the best, as written evaluations allow you the luxury of carefully selecting your words and leave the teacher with a referenceable account of your evaluation findings. Whether you are a supervisor, a student or even a parent composing an evaluation, to be useful, your report should contain some variation of the same basic elements. State the teacher’s name and teaching assignment in the first paragraph. 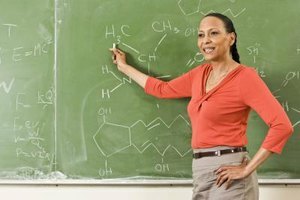 Include any other details that pertain to who the teacher is as an employee within your school. You may want to include, for example, the number of years the teacher has been working at the school or details as to extracurricular activities the teacher oversees in addition to her teaching assignment. Explain your relationship to the teacher, including details as to how long you have known the teacher in this capacity as well as outlining your history with the teacher if you have one. If, for example, you are a student writing an evaluation of a teacher who has instructed you in several courses, explain this. Describe any classes you have observed in detail. If you are a student, simply state that you observed all of the teacher's classes for that course. If you are an outside observer who only witnessed selected classes, include the dates and times of any observations on which you are basing all or part of your evaluation. If there were any reasons why one or more of these observations may have lacked merit, include this detail as well. For example, if during an observation a fire alarm went off, cutting the class short, explain that you are not taking that period into consideration. List all other sources of educator effectiveness data, aside from classroom observations, which you are considering as you compose your evaluation. While you likely won't have any other sources of this type if you are a student or parent, if you are a supervisor you may wish to consider, among other things, state standardized test scores, discipline referral reports or parent and student survey results. Compose a paragraph outlining the teacher’s strengths. Provide specific and measurable data to support these strengths when possible, saying, for instance, “Mrs. 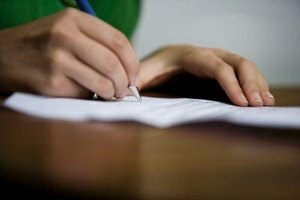 Gentle succeeded in raising student standardized test scores an average of 30 percent over the course of the year.” Use appropriate educational terminology when composing this account, but avoid hard-to-decipher jargon. Outline areas for improvement in a separate paragraph. Provide anecdotal or numerical data to validate your selected areas. Tie these areas back to student performance, explaining how efforts on the teacher’s part to better himself in these selected areas would result in increased gains for students. Add a call-to-action paragraph, telling the teacher specifically what you would suggest she do specifically to improve. Make your requests as specific and measurable as possible so as to clearly communicate your expectations and allow the teacher to easily monitor her own progress toward achieving the requested gains. Finish the evaluation with a thank you to the teacher for his efforts. State that you know how hard he works and you appreciate having him as a member of the team. By concluding on this positive note, you can likely make the evaluation as a whole more palatable to the teacher. Schreiner, Erin. "How to Write a Teacher Evaluation." Synonym, https://classroom.synonym.com/how-5617872-write-teacher-evaluation.html. 07 August 2017.